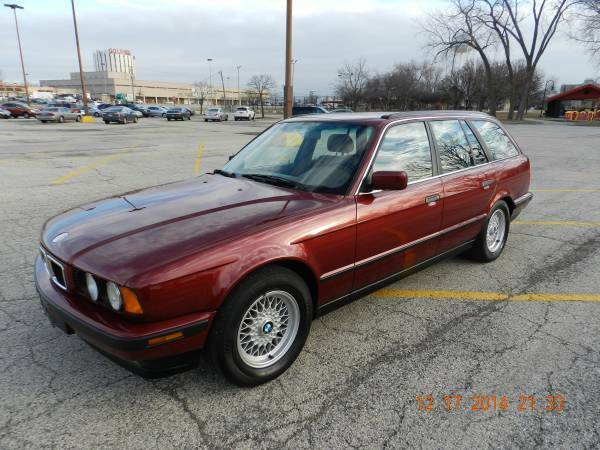 A barrage of word salad on Chicago Craigslist heralds the arrival of a low-miles 1994 BMW 530i Touring in seemingly excellent condition. It is "rare" in the way that all station wagons are in the US. It has an automatic, not a 6-speed, but it does have the 218hp 3.0L V8 BMW introduced to the 5-series in 1992. "Rare" would be the 540i Touring, which was not offered in the States. "VERY RARE" would be an M5 Touring which, keep shopping. Still, the greatest features are the miles: 34,000, and the price: $8,000. Add the cost of a thorough inspection and your daycare dropoff dream will come true.